When reading the Publisher’s Weekly review of Autobiography of a Face by Lucy Grealy I was surprised to see this work was in its original form an award-winning, article published in Harper’s in 1993. (Mirrorings. By: Grealy, Lucy, Harper’s Magazine, 0017789X, Feb93, Vol. 286, Issue 1713). For the most part, the article is a very concise version of the book. The only difference is that in the article, Lucy does not mention her family, nor her love of animals. The animals, primarily horses, are what help her through some of her worst years of surgeries and taunts. It feels odd to say that I enjoyed reading this memoir, mostly because of Grealy’s topic, Ewing’s Sarcoma. How does one enjoy reading a book about a 9 year old’s struggle with cancer and the subsequent emotional and physical damages she would suffer afterward? I did however, enjoy Lucy’s fluid and descriptive writing. At times, her writing did seen overdone, but I didn’t think that she over dramatized any particular aspect of her life. Ewing’s Sarcoma, is a form of cancer that left Lucy’s face severely disfigured at the young age of 9, and left her hospitalized for most of her life, dealing with chemotherapy for 2.5 years as well as over 30 operations to reconstruct her jaw into its former shape from age 15. Each attempt somehow managed to fail as the tissues would be reabsorbed, and her jaw-line would return to its normal shape. Lucy struggled to be brave for her rather stoic family who, I think, had no real way of being able to understand and commiserate with Lucy’s pain. Lucy, being a child, was in no state to really be able to articulate all the emotional and physical pain and confusion she suffered as a result of the surgeries, and chemotherapy. Her mother urging her not to cry and to be brave put a lot of emotional stress on Lucy, when she should have been told that it is OK to cry and be scared. Her father never stayed during the 4 minute chemo rounds, and his absence left Lucy with a sense of relief that she could be scared without being judged by her family. She makes no mention of how her brothers and sisters treat her. I think it was wise of Grealy to keep her childhood naiveté regarding her early childhood experiences in and out of hospitals. Most memoirs tend to have the narrator be incredibly well aware of their surroundings and situations at all times, and I find it hard to believe that any 9 year old is so in-touch with the world on that level. I think Grealy’s childhood ignorance of what was happening to her is also reflective of how hospitals treat children, almost not addressing their fears directly, but just working on the problem and hoping for the best. But that might have changed since the 1970’s when Lucy went in for chemotherapy. I cried at various parts of the book, mostly for Lucy’s detachment from her parents and upon the death of her father. It was interesting seeing her reaction to the death of her horse, Mare, which left her depressed for months, and her reaction to the death of her father. The latter was taken a little more light-heartedly. I think Lucy is a brave woman for coping with her disfigurement and her depression and being able to share her story. Lucy wrote “I felt as if my illness were a blanket the world had thrown over me; all that could be seen from the outside was an indistinguishable lump. And somehow I transformed that blanket into a tent, beneath which I almost happily set up camp. I had no sense of how my life was supposed to be, only of how it was” (130). Once Lucy is reinstated in school, she has to relearn how to cope with her disfigurement as she is daily and routinely taunted and harassed by a group of boys on campus. If you can get your hands on it, I would suggest reading the article in Harper’s if you want a quick summary of Lucy’s life. If you want to be more in touch with her feelings, then I suggest reading the book. 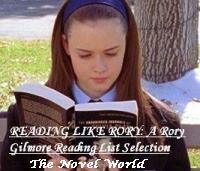 This entry was posted in Adult, Books, life, Memoir, Nonfiction and tagged Autobiography of a Face, Lucy Grealy, Rory Gilmore Book Club. Bookmark the permalink. Hi! I nominated you for a blog award. See the details at Letters On Pages!!!!! !